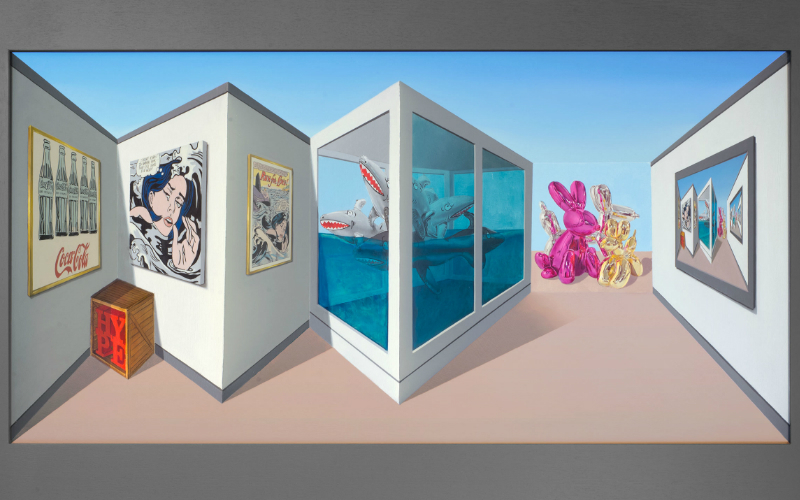 British pop artist Patrick Hughes is exhibiting at Alon Zakaim Fine Art for the very first time with a showcase of his ‘reverse perspective’ paintings. The exhibition will feature his three-dimensional paintings that appear to move with the viewer thanks to his presentation of false perspective. Pieces like Appropriately and Poppyish will be on display as will some of his smaller, mixed media artworks.